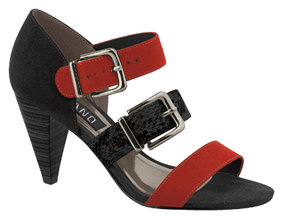 Are you after some fancy footwork that boasts fine craftsmanship and style but doesn’t sacrifice comfort for fashion? With an incredible 200,000 pairs sold worldwide each day, it’s not surprising these iconic Brazilian brands are now in high demand around Australia. The increasing popularity of the iconic Beira Rio, Vizzano and Moleca brands has seen the lines continual expansion throughout Australia. “Many customers comment on their incredible comfort, a big variety of fashionable designs and affordability,” says Murray. It’s this very combination that has landed the brands in the glossy pages of national publications including New Idea, Cosmopolitan, Shop Till You Drop, MX, The Brisbane Courier Mail, Herald Sun and many others. Easy Life Shoes recently launched another great Brazilian brand – RAMARIM to astounding success. “It has been so successful that many lines have sold out within weeks of arrival and many customers are now placing orders for the next winter season,” says Murray. RAMARIM, which is one of the biggest manufacturers of leather boots in Brazil, is all about luxurious soft leather, outstanding quality and a `hard-to-believe’ level of comfort. Easy Life Shoes will be showcasing the new summer collection at stand 1826 at Fashion Exposed this weekend from August 28-30 at the Melbourne Convention and Exhibition Centre.